Facing $4 million shortfall, sheriff Mike Reese proposes unpopular staff reductions. Staff at the Corbett Water District were worried a customer made a threat involving a gun because he was mad about his high water bill. So a staff member called Deputy Joe "Rocky" Graziano, Multnomah County Sheriff's Office's (MCSO) Corbett community resource officer. Graziano knew the individual, and he thought it may not have been a threat, but rather a poorly worded joke. After Graziano spoke with the 77-year-old man on Thursday, April 4, the resource officer determined that was certainly the case. Graziano recommended the customer return to the district after a day to let the district employees calm down, come up with a solution about his high water bill, and avoid using the word "gun." 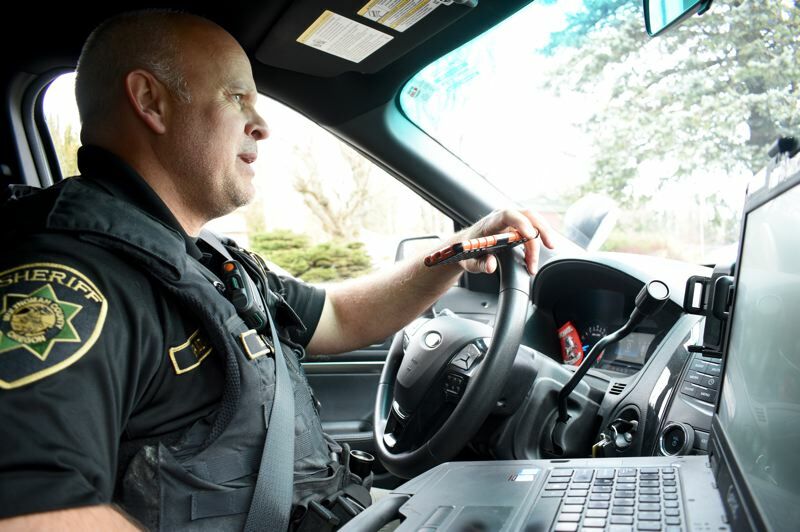 The 49-year-old deputy from Beaverton has been responding to similar calls since 2008 when the position was created. He has been making connections with Corbett citizens since 2002 when he started in Corbett as the school resource officer. "I get to know the community," Graziano said. "Just about everywhere I go over the years I've gotten to know their stories. I knew the story on this guy right away." Graziano's presence could disappear because Multnomah County is facing budget cuts, and his position may be eliminated. Multnomah County Chair Deborah Kafoury has asked department heads to submit a budget for fiscal year 2020 with a 3% reduction in expenditures. 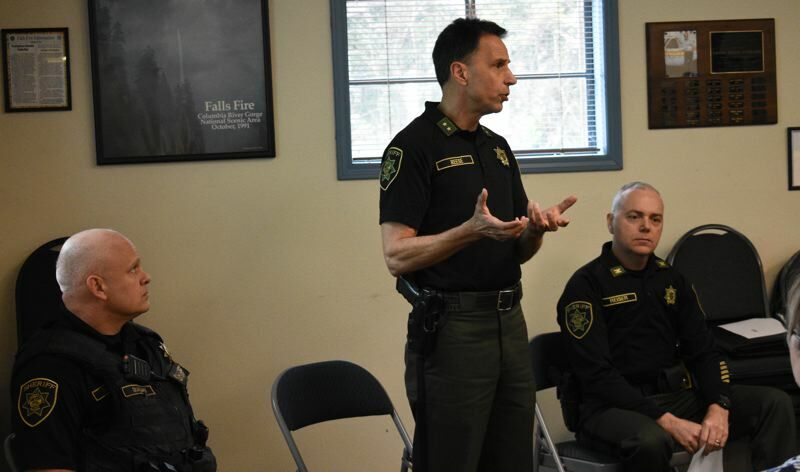 MCSO Sheriff Mike Reese hosted a meeting on Thursday, March 21, at the Corbett Fire Hall detailing why he submitted a budget that didn't include funding for the community resource officer position. "Positions like this are what I want to do for community policing," Reese said. "This position is vital to community-based policing." Community policing is an effort law enforcement agencies that focuses on proactively engaging with the community instead of just responding to emergency situations. Reese said Multnomah County's budget is facing cuts despite the growing economy because inflation is outpacing growth — Oregon's Measure 5 caps property tax increases, and the county is facing significant investment increases into the state's Public Employee Retirement System. Multnomah County must trim costs to keep from going into debt, according to county budget documents. The county is facing a $6 million gap this year that is forecasted to grow to $35 million if cuts aren't made. Reese's 3% reduction means he is faced with trimming $4 million from his department's budget. He noted that cuts deep, and eliminating the resource officer position is only one of many budget reduction measures he will need to take to hit that mark.